SoftVision IS ™ South America Company offering Internet Services Solutions for more than 14 years. With clients around the world we feel proud to be considered one of the better South America Internet Services Companies. 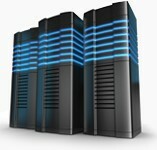 Latin America Dedicated Managed Servers Linux and Windows. Offshore Servers in South America. Register your domain in South America countries. SoftVision IS can register domains names in Uruguay, Argentina, Brazil, Chile, Ecuador, Paraguay and others Latin America countries.